Prominent & Leading Manufacturer from Ghaziabad, we offer ht cables and lt cables. We are a significant organization, engaged in offering an enormous range of HT Cables. These cables used to connect a distributor, ignition coil, or magneto to each of the spark plugs in some types of internal combustion engine. These cables are manufactured by our skilled professionals utilizing premium quality raw material as per the defined industry standards. Our offered cables are highly appreciated by our clients owing to their tensile strength and shock resistance. 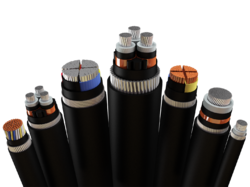 With an experience of many years, we are catering to the wide requirements of our clients by providing a wide array of LT Cables. These cables can be used on AC Voltage. These cables are manufactured by our adroit professionals in sync with the set industry standards using premium grade material and contemporary technology. 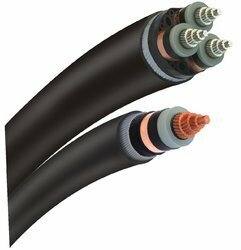 The provided cables are available in various sizes and other specifications. We are offering these cables at a market leading price to our clients.